May 20, 2015 by Ecommerce News. About Statistics with tags Denmark, Europe. 1334 views. Four European countries are among the five best countries at preventing ecommerce fraud. 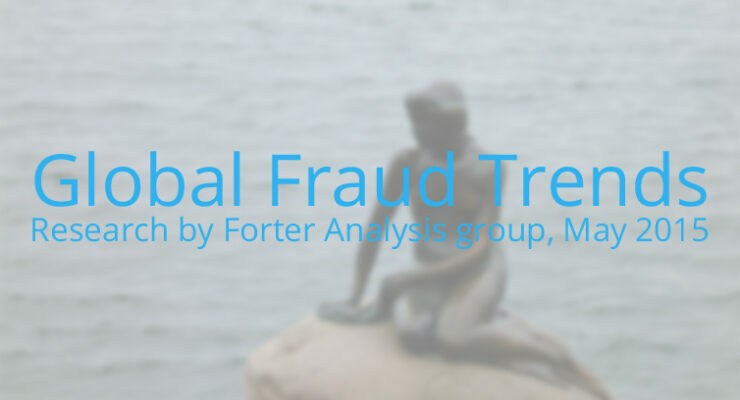 Denmark came out on top of the list for having the lowest percentage of fraudulent ecommerce transactions last year. Other well performing European countries are Finland, Norway and Switzerland. Forter, a company that makes and sells fraud prevention software, did some research on ecommerce fraud in the world. It found that countries where ecommerce fraud is more likely, tend to have poor economies but accessible Internet infrastructure. These are also the countries where the chances of being pursued by law enforcement and being extradited are lower, Noam Inbar, vice of business development at Forter, told CNBC. The research shows how the fraud rate in Africa is about ten times higher than the world average rate and that the fraud rate in Europe is slightly lower than the global average. In the top five of most fraudulent countries there’s one European country and that’s Romania. But on the other hand, the top five of least fraudulent countries consists of four European countries. New Zealand ended number two, while the other positions are for Denmark, Finland, Norway and Switzerland. Finland is ranked as the third best country at preventing ecommerce fraud. Inbar noted that this Nordic country, as well as the other countries that ranked high on Forter’s list, also received top scores on the corruption perception index from Transparency International. Among the worst countries is Romania. It made the top five list of most fraudulent ecommerce countries, due to the fact 10 percent of ecommerce transactions there “were bogus”. Forter analyzed more than 1 million ecommerce transactions among several online retailers that sell consumer goods, luxury, travel and financial services. It calculated the ecommerce fraud rates for each country, based on complaints from consumers and merchants. More about Denmark or Europe.